I recently heard about a company called Happily Ever #Hashtagged. Basically they are a company that specializes in creating unique wedding hashtags for couples. I don’t know when or why this trend originated, but I like it. If you are wondering what a hashtag is, it is basically a word or phrase that is preceded by a #- a hashtag. These words are used to describe the picture or message. On social media, it can also be used to identify posts on a specific topic. For instance #funny may be used to describe a post that is funny. Are you following? “Happily Ever #Hashtagged” launched with package deals for their hashtag-making services. The simplest starts at $40. There is also a more advanced option of $115 that gives couples access to three hashtag options, plus two more for any bachelor and bachelorette parties. Apparently today’s couples don’t want a generic wedding hashtag. “Most often, people want something punny and clever, so that’s where I start,” Wakim (mastermind behind Happily Ever #Hashtagged) told Glamour. 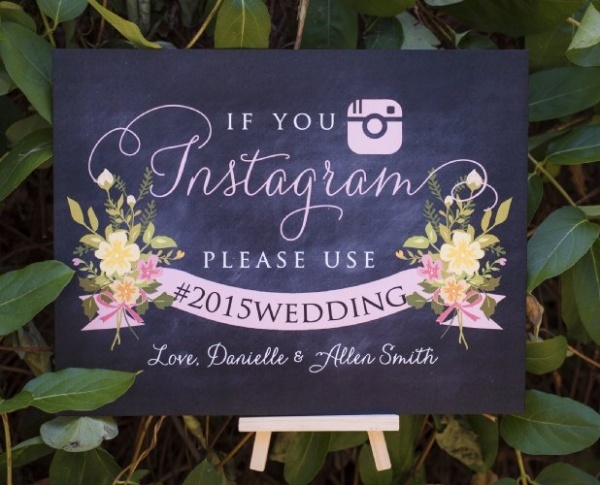 Theres no denying that hashtagging your wedding or event is beneficial. It can give your guests a way to post and view pictures from your event in one easy to find place but what do you guys think? is this taking it too far?